“3D printing is going to change the world,” says Raja Sekhar Upputuri, the MBA grad behind India’s number one 3D printing platform. He should know. In July 2014, he founded think3D. Since then, he’s been at the forefront of a revolutionary technology driving developments across industries. 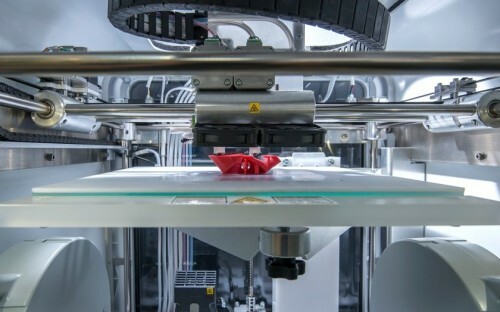 From manufacturing to healthcare, education to aerospace, 3D printers have the potential to create human organs, cars, houses, even food, in minutes. Today, think3D sells 3D printers, scanners and offers 3D printing services to every major city in India. Its clients include Microsoft and General Electric. And it’s going global. Already established in Singapore, Raja is looking to expand his business across South-East Asia. His mission: to democratize 3D printing technology. Raja worked as a software engineer before an MBA at China Europe International Business School (CEIBS). There, he developed the global business knowledge and network which enabled his transition into entrepreneurship. He started his first business – photo digitization startup ScanCorner – alongside an MBA colleague, directly after graduation. How did the idea to start think3D come about? think3D isn’t my first startup. Post-MBA, I started another company - ScanCorner - along with an MBA classmate. But four years into that startup, I realized the idea wasn’t scalable and I started looking around for new opportunities. I went to the UK on a business trip and I chanced upon 3D printing at an exhibition there. I had a discussion with the stall folks and few other 3D printing entities in the UK, and decided to get into 3D printing. I’ve always wanted to build a global company from Indian shores. With this idea, I strongly believe I can achieve it. We’ve already registered as a company in Singapore and we plan to expand to various South-East Asian nations soon. I faced tremendous challenges while building ScanCorner. I started completely from scratch and in a new city. In fact, I didn’t know where to start, who to contact and how to go about it. I learnt each and every aspect of the business the hard way. But by the time I started think3D, I had the knowledge, the team, the contacts and, most importantly, the tolerance to risk and stress, to ensure that I didn’t face any major challenges. I face a lack of awareness of 3D printing in India. But that’s the sort of problem we actually set out to solve. I don’t look at it as a challenge. Don’t think too much. If you’re convinced about an idea, go ahead and start the business. Always start very small, collect constant customer feedback, fine-tune your offering accordingly and, within a year, you will have a minimum viable business model. Then, you just have to scale it up slowly. I was bored of my job and I had a very clear goal of becoming an entrepreneur. China was fastest growing economy at the time and, as a nation that has lot of similarities to India, I felt I could identify some good opportunities there. For foreign students, CEIBS as a gateway to China has become a natural choice. Have a clear career vision. Many students apply for an MBA and don’t really introspect much to identify which industry they want to get into after it. I think you get maximum value out of an MBA program when you have a clear idea of what you want to do. How has the CEIBS MBA helped you in your career? I have profited immensely from my MBA experience. I took lots of entrepreneurship courses, met various entrepreneurs and attended various startup events. I thus got a good idea on entrepreneurship as a career. I also learnt Chinese during my MBA program and this is helping me a lot with my business. I source lots of machines and materials from China.